Dorothy Lorraine Johnson, age 85 years, passed away peacefully on Sunday morning, June 4, 2017. 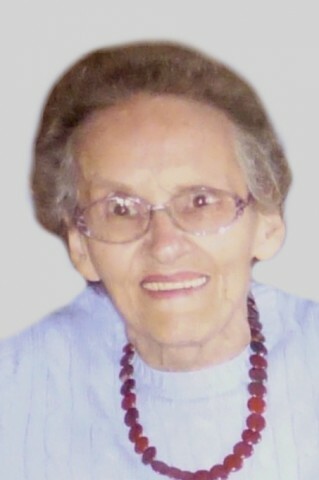 She was born the daughter of the late Timothy and Evelyn (Domingue) Johnson. Dorothy was a devoted parishioner of Nativity of the Blessed Virgin Mary-St. Louis Parish, a member of the Franklin County Senior Center; enjoyed assisting with Meals on Wheels and Lifeline, and she always looked forward to spending time with friends at Care Partners. Besides her parents, Dorothy was predeceased by first cousin and longtime caregiver, June Paradis, and a dear cousin, Sandy Aylward. She leaves many family members that include Homer Paradis; several first cousins throughout Quebec as well as local family, Maurice Domingue, Beverly Manning, Rita Langlais, Deborah Begnoche, Larry Paradis, Michael Paradis, Glenn Paradis and their spouses; multiple second and third close cousins, and her devoted caregiver Wendy Campbell. Friends may call at The Kidder Memorial Home, 89 Grand Ave., Swanton on Monday, June 12, 2017 from_9:00-10:30am immediately followed by The Liturgy of Christian Burial to be celebrated at 11:00 am at The Church of the Nativity of the Blessed Virgin Mary, 65 Canada St., Swanton. Father Like P. Austin will be the celebrant and homilist. The Rite of Committal and Interment will follow at the family lot in the East Highgate Cemetery prior to a reception luncheon.